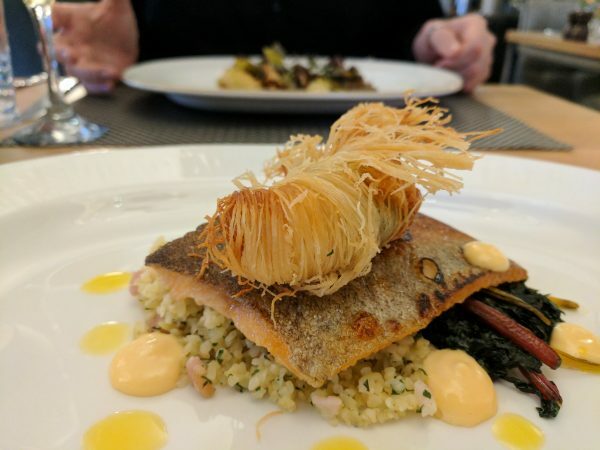 Sea bass with crispy langoustine and richly savoury couscous. Sea bass with crispy langoustine and richly savoury couscous. Perfection!